Power. So many languages in the world, so many translations, so many poems, films, books, discussions but rarely have anything in the world has managed to capture the essence and intoxication of this small five letter word. The story of every person, every house, every locality, every city, every state and each every country is essentially a story of power. 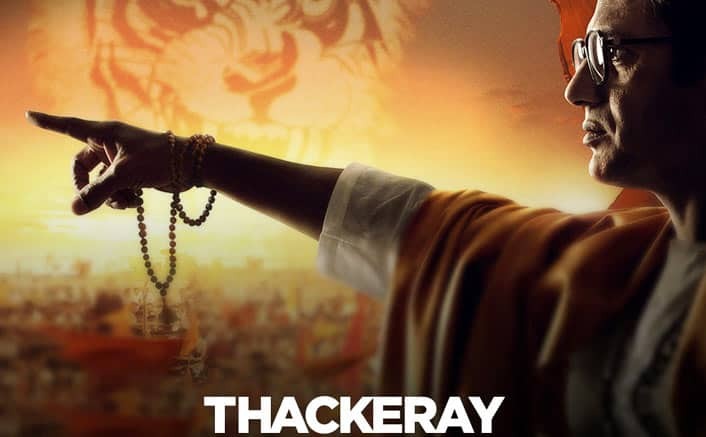 The film Thackeray does an excellent job of narrating this story of power through the lenses of one man who, despite his flaws, epitomized the word power on soil that he was born and in love with. Being the polarizing figure he has always been, it is absolutely impossible to tell the story of his life with even an ounce of neutrality. Bal Keshav Thackeray, the man was a lot of things, neutral, however, was surely not one of them. Starting his journey as an illustrator he rose to a dizzying height of power that the country had rarely witnessed. A god to some, a villain to some, the film does an excellent job of capturing the magnanimity of his personality and his power. Director Abhijit Panse is definitely in awe of Bala Saheb but is not on a passionate mission to condone him. Everyone who has ever seen this charismatic orator can vouch that he was never politically correct and he never attempted to be. However problematic to some, he had his own ideas he believed in and was convinced that this was the way to bring honor and respect to ‘his people’. 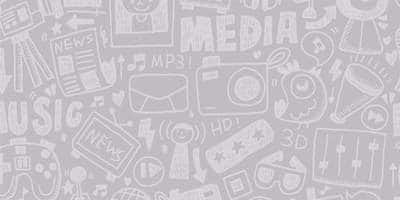 Given the massive power and public support he has enjoyed, it was easy for the film to gloss over his controversies. But the film tackles every controversies head-on. Is Bala Saheb given a clean chit in the end? Yes. But it does not feel unacceptable because the film is fearless and unapologetic like the personality it captures. In the war between morals and realities of the dance of democracy in India, the film chooses to stay true to the realities. Thing has been told as is, and the audience has been given the leeway to shape their own opinions in tandem with their moral. The factors that have led to this almost ideal biopic are solid research and a superlative screenplay. Even with an undiluted political drama going on the screen and people dying almost every 10 minutes, the film holds your interest in the place and does not let you deviate even for a second. Coming to the performances, when has Nawazuddin Siddique ever given a performance which is even a notch below superlatively perfect? Every twitch of his eye, the rigidness of his pointed finger, the finality of him wrapping his shawl and the shadow confidence and doubt in the light of his smile, he portrayal of Thackeray is poetic, to say the least. His mannerism never borders on caricature but communicates each and every nuance with a clarity that was a signature of Thackeray in his public speeches. The supporting cast essaying political figures like Morarji Desai, Dutta Salvi, Emmanuel Modak, Krishna Desai keeps the story and pace tight irrespective of the screen time of their characters. Here again, Panse manages to convey his competence as a director. 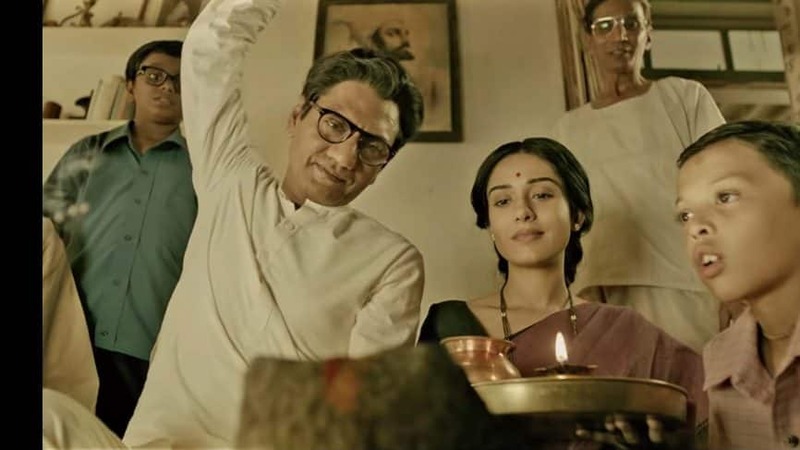 Every character playing even the smallest roles, like that of Indira Gandhi or Amrita Rao playing Thackeray’s wife Meena Tai, might play a minuscule role in the narrative of the film but is extremely significant to the life of Thackeray or his political career or even the politics of the country. Panse makes sure that those characters are given the respect and importance they deserve even if their part in the story that they have chosen to tell in the film is limited. However, there is something weird about Amrita Rao’s dialogue delivery which might be an attempt to copy Meena Tai in real life that went a tad bit astray. As expected from a Nawazuddin Siddique film, the film is pretty heavy on dialoguebaazi. Let’s just face it, not many people in the industry can pull off a dialogue dripping with desi swagger the way Nawaz can and the director is little too much in love with this talent of his. Although extremely well written and executed, the dialogues at times dangerously threaten to enter the OTT zone and kill the raw and gritty treatment of the film. Talking about raw and gritty, the film maintains an excellent balance. Given the fast-moving and often complicated political developments going on in the film, the dialoguebaazi and the really dramatic background music saves the film from feeling like a drab documentary. Praise must also be reserved for the production design team who not only depicts the era of the 60s, 70s, 80s, and 90s perfectly but also transition from one ear to another seamlessly enough to not give a single visual jerk. Cinematographer Sudeep Chatterjee does a masterful job of capturing the city of Mumbai in its vintage glory minus the unnecessary romanticization. Some shots are somewhat self-indulgent and some even corny, but that is probably to be blamed on the director. He especially shines in the scenes of riots and public speeches of Thackeray which captures the madness of it all. 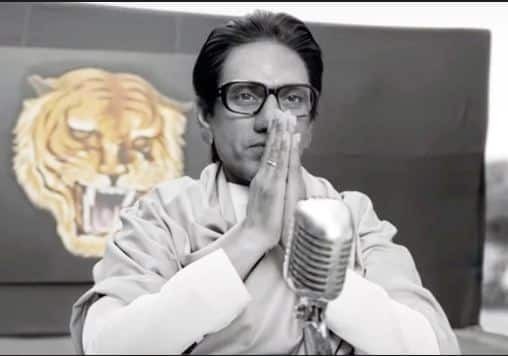 Given Thackeray is a biopic, it is definitely not a moralistic study of this humongously controversial and polarizing figure of Indian politics. Does the film have elements of propaganda? Yes, it is. 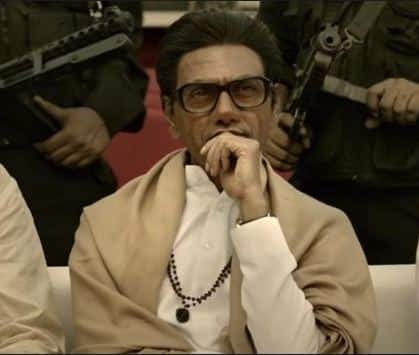 But it is still a film that does not require you to condone Thackeray and his actions, opinions, and beliefs in order to enjoy the film, and there lies the cinematic triumph of the film.